Crossovers are some of the most popular vehicles near Avon, Indianapolis, and Plainfield, and it’s no wonder why. These vehicles pack a lot of power under the hood, are easy to drive, and are highly stylish, providing a perfectly balanced driving experience. If you’re in the market for a new crossover SUV, there are a lot of models to choose from. To help you decide, Andy Mohr Toyota has taken two of the most popular models and put them to the test. In our 2019 Toyota RAV4 vs. Subaru Forester comparison, you’ll see them side by side, allowing you to easily choose which one best suits your needs! Nothing is going to get you where you’re going quite like a crossover can, and these two models prove that to be true. It all starts with the engine: Standard in the Toyota RAV4, you’ll find a powerful 2.5L 4-cylinder engine. This option boasts 203 horsepower and 184 lb-ft of torque, making for a robust drive that’s also smooth. Although the Forester comes standardly equipped with a unique 2.5L SUBARU BOXER® Engine, it provides less oomph all around. It generates 182 horsepower and 176 lb-ft of torque for a slightly less-elevated power output on the road. Looking to fill up the tank less often? Who isn’t! With the RAV4 and Forester, you won’t need to. However, one model might leave you wishing that you had a little more efficiency. Although you’ll receive the same city MPG as the Forester, highway and combined MPG are taken to the next level in the Toyota. This is incredibly beneficial for drivers who hit the open road a lot, or for those who drive a mix of both. Making your drives as easy and comfortable as they can be is at the forefront of both Toyota’s and Subaru’s minds. 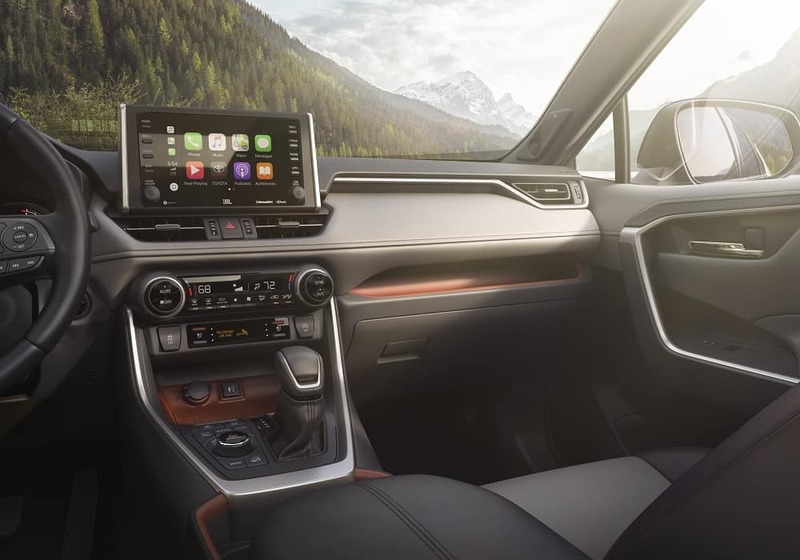 As such, both crossovers come with an available 8-inch touchscreen multimedia system, which allows you to access music, navigation, smartphone apps, and more. Staying connected on the go has never been easier! The RAV4 also comes with a Smart Key System that allows you to open the doors of your vehicle as well as start it up with no need to find your key fob in your purse or pocket. The Forester also comes with keyless access and Push Button Start, but it requires a pin code to do so. Another great feature found only in the 2019 RAV4 is the Bird’s Eye View Camera with Perimeter Scan. This allows you to do a scan of your vehicle’s surroundings, providing you with a 360-degree view when driving, parked, or in reverse. If you want to learn more, check out our Toyota RAV4 research! 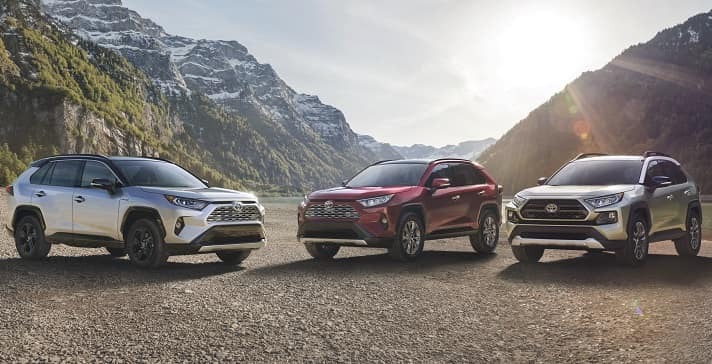 At Andy Mohr Toyota, we think that you’re going to love the elevated performance, great efficiency, and extra features found in the 2019 RAV4. Want to see it for yourself? Schedule a test drive near Avon, Indianapolis, and Plainfield today! 1 2019 EPA-estimated 26 city/35 highway/30 combined MPG for Toyota RAV4 LE FWD, XLE FWD, XLE Premium FWD, and Limited FWD. Actual mileage will vary—use for comparison only.